tropical | I Haz An Adventure! 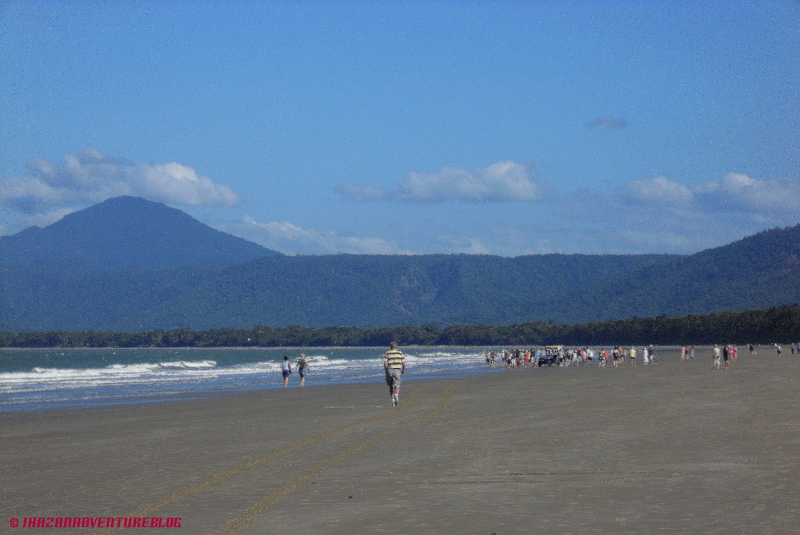 on one of the most beautiful and famous beaches in Australia – Four Mile Beach, Port Douglas. When deafening blasts of the beach siren break my seaside serenity, and I turn my head in unison with dozens of others towards the ocean. The urgent amplified announcement echoed down the beach as worried water dwellers hastily made their way back to shore, and curious beach dwellers made their way to the water’s edge to see what all the commotion was about. 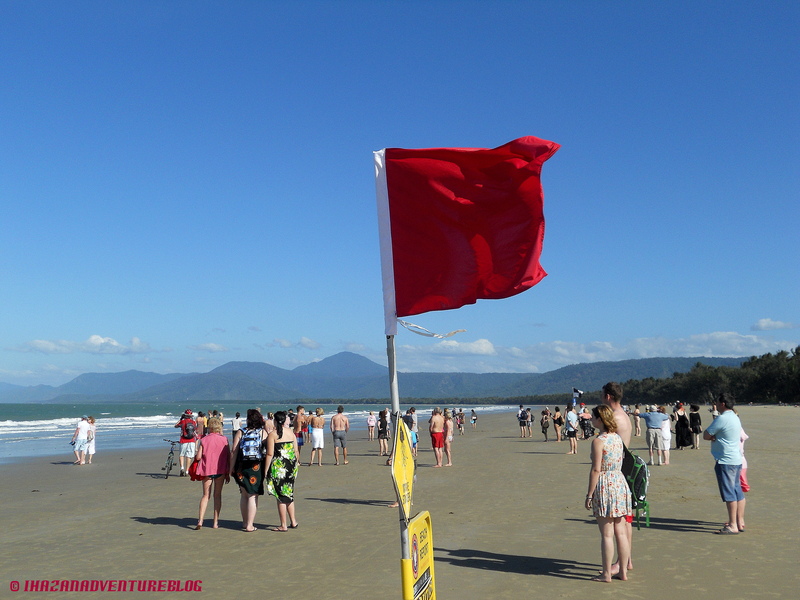 The lifeguard raced down and quickly pulled the red and yellow safe swimming flags out of the sand and inserted a bright red danger flag. 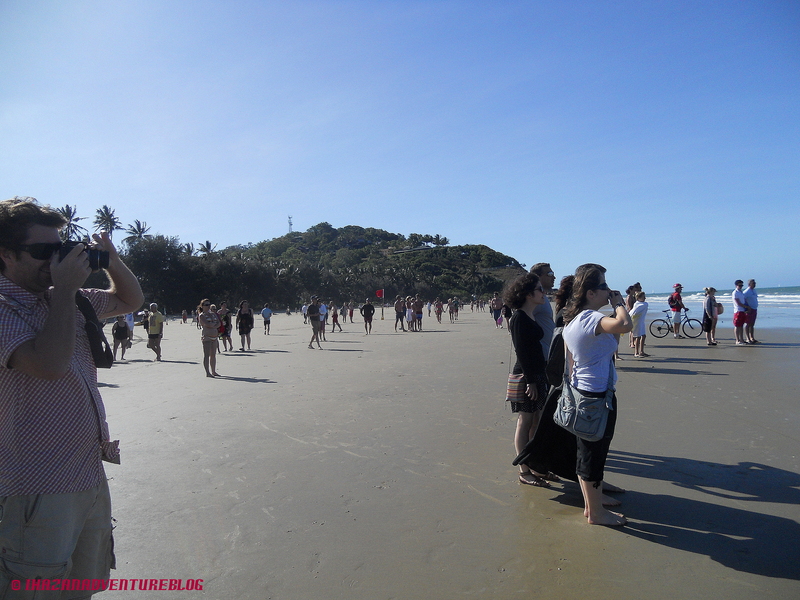 Crowds of people made their way towards the ocean like a brand new batch of baby turtles instinctively heading towards the sea, mostly to meet their fate as their short-lived lives are extinguished by predators. What lies in this ocean is one of the very few human predators and we all expect a shark sighting, but no, not up here in the tropics, it was the mighty croc! I gather with the crowd and stand in awe as I see him, less than 10 metres off shore, bobbing up and down on the waves like a long brown log, but this was no ‘logadile’, this was the real deal! 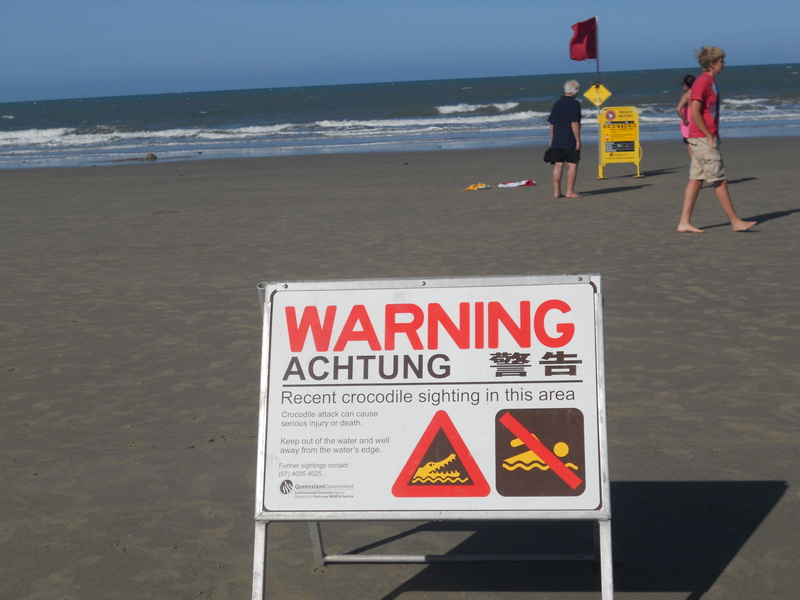 The excitement on the beach was palpable as we followed the croc’s southerly progress en masse, feeling safe on our sandy shores. Now you don’t expect to see a crocodile in the middle of the ocean. Creeks, rivers, estuaries and anywhere with a nice muddy feel and a few mangroves is where the croc likes to hang out. But apparently they use the ocean like a highway to travel from river to river, so whilst he probably had a destination in mind rather than lunch, they are opportunistic creatures who wouldn’t say no to a snack that happened to be swimming right in front of them. After finally losing sight of the croc we spoke to the lifeguard who spotted him. He told us it was a 3.5 metre salt water crocodile and they only spotted him when he was on the edge of the flagged area. He said it’s unusual to see them this time of year, but in summertime it can be a common thing! 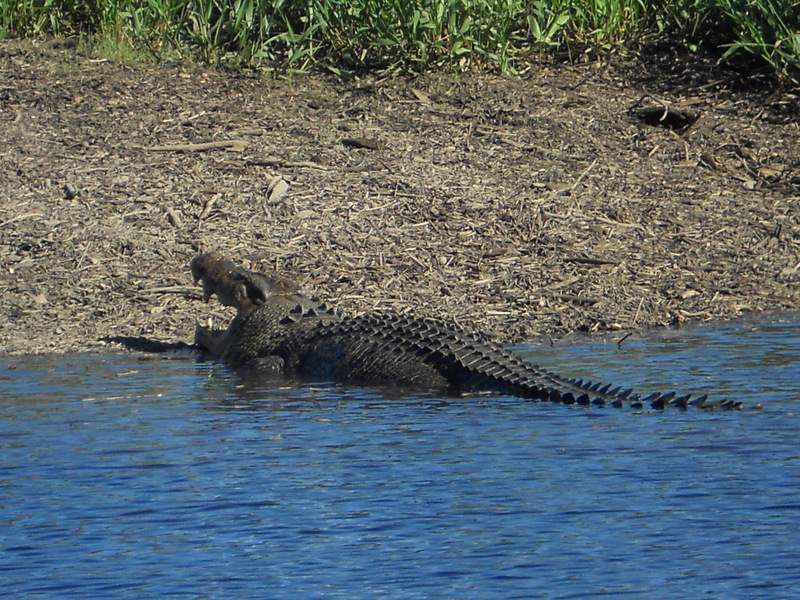 My partner and I had previously had many conversations about safe swimming in Far North Queensland, as you’re generally told that crocs only live in the rivers, but we never felt 100% comfortable in the water. 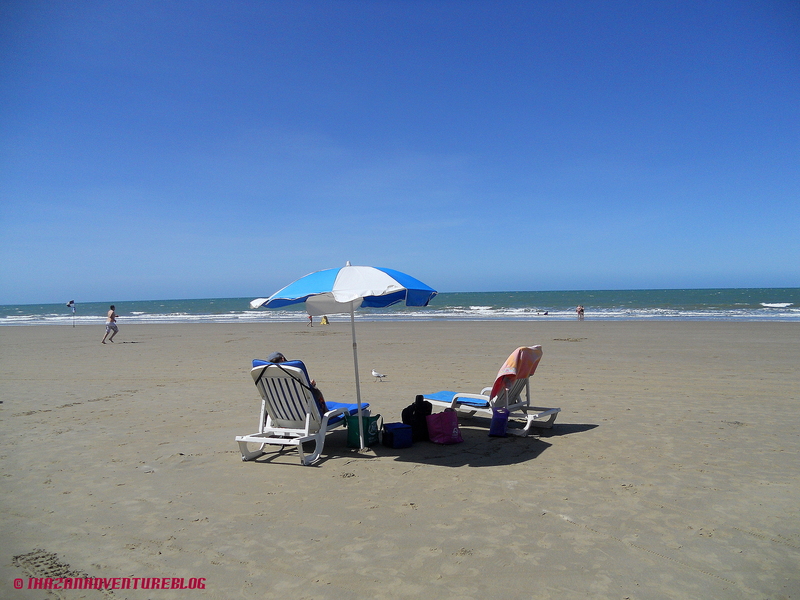 We’d always said that the only beach we felt really comfortable at was Four Mile Beach because it is such a popular and crowded swimming beach. 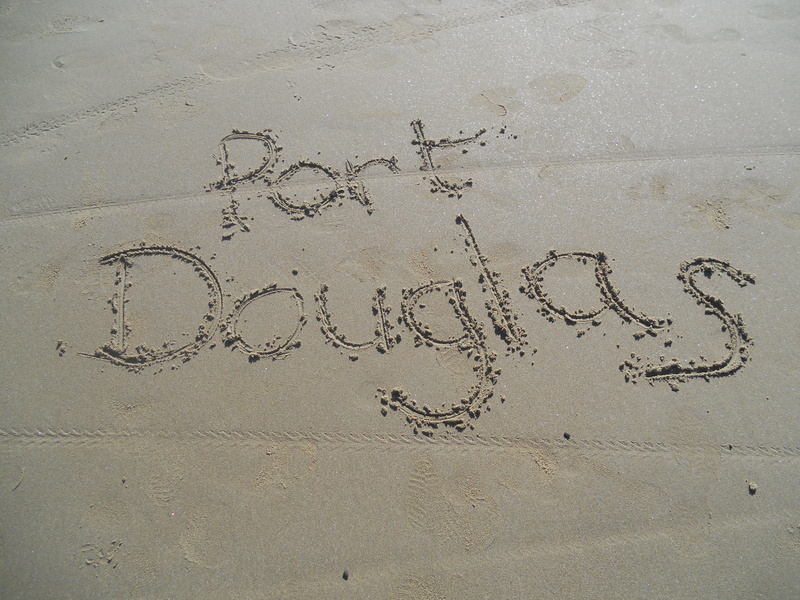 In fact this time last year we were in Port Douglas and swimming in that exact spot. 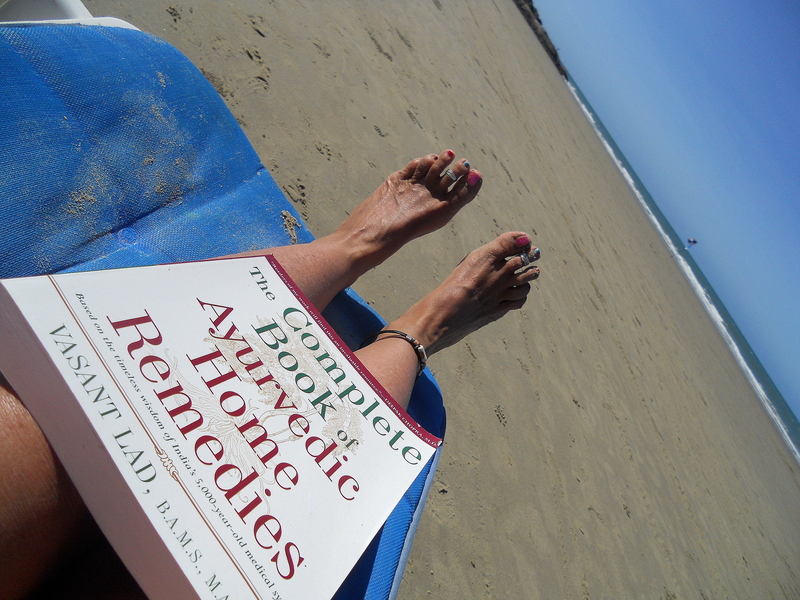 Ignorance was bliss. Sadly, my blissful ignorance has now been banished and there will be no more peaceful floating in these tropical waters. But that won’t stop my enjoyment of these wonderful places. 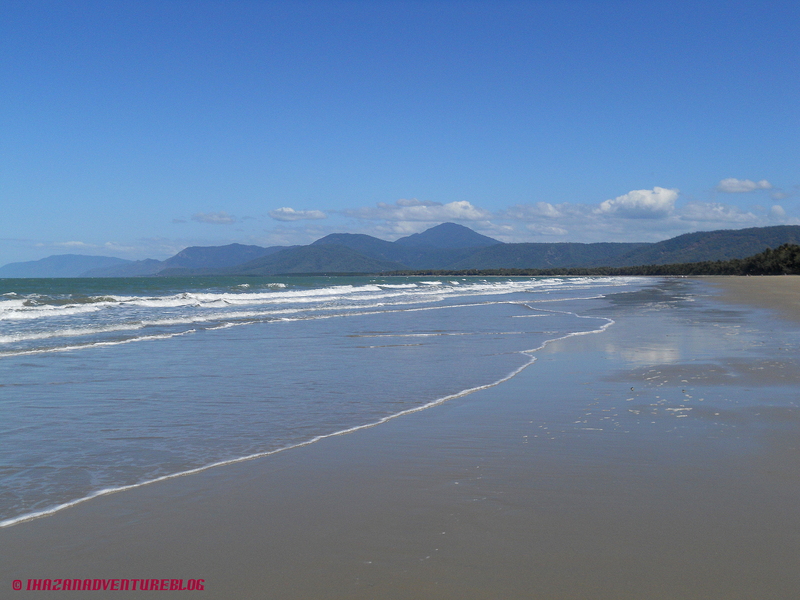 The vistas from Far North Queensland’s beaches are nothing less than spectacular. 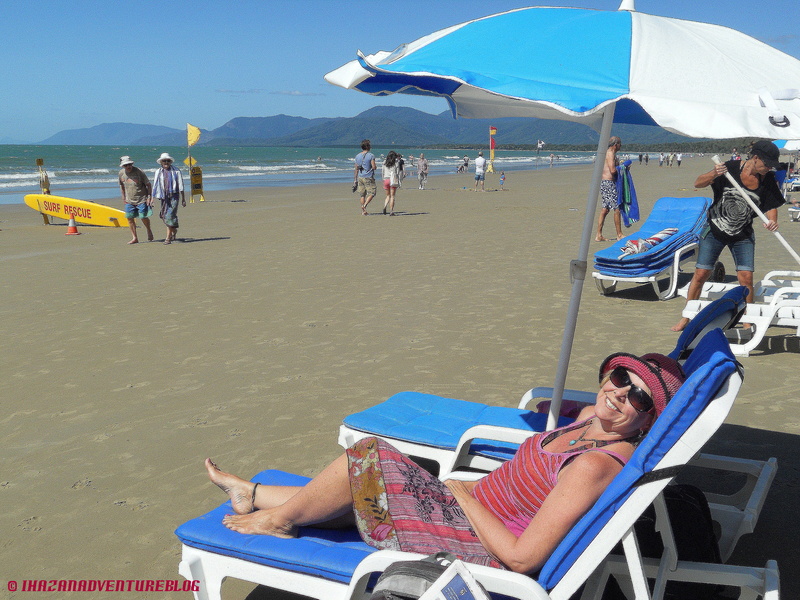 Fringed with swaying coconut palms and often surrounded by mountain ranges, tropical islands, or lush rainforest, it is a magical way to spend a day lazing on the sand with a book, a friend, or your thoughts. 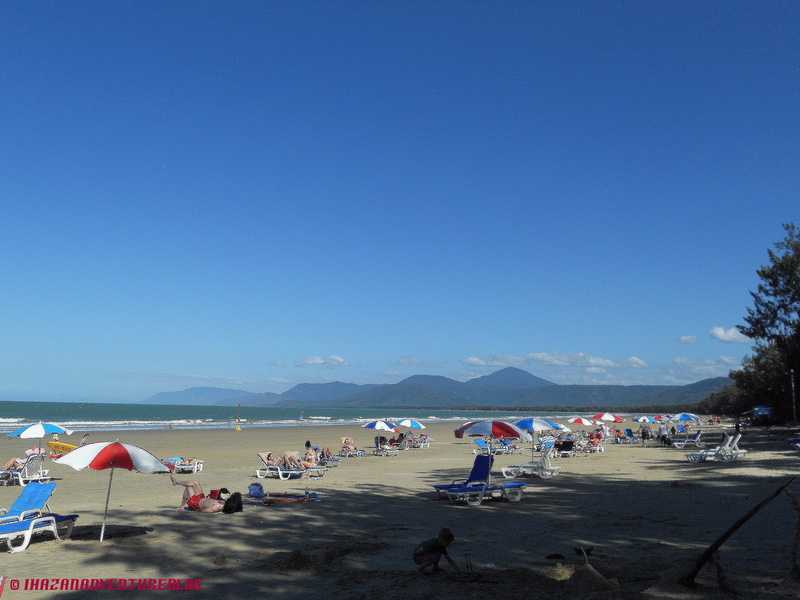 Four Mile Port beach at Port Douglas is perfectly equipped with deluxe deck chairs and umbrellas for hire, so you can comfortably spend the entire day there. During holiday season you can also catch a morning yoga class on the beach, the ideal way to start your day. 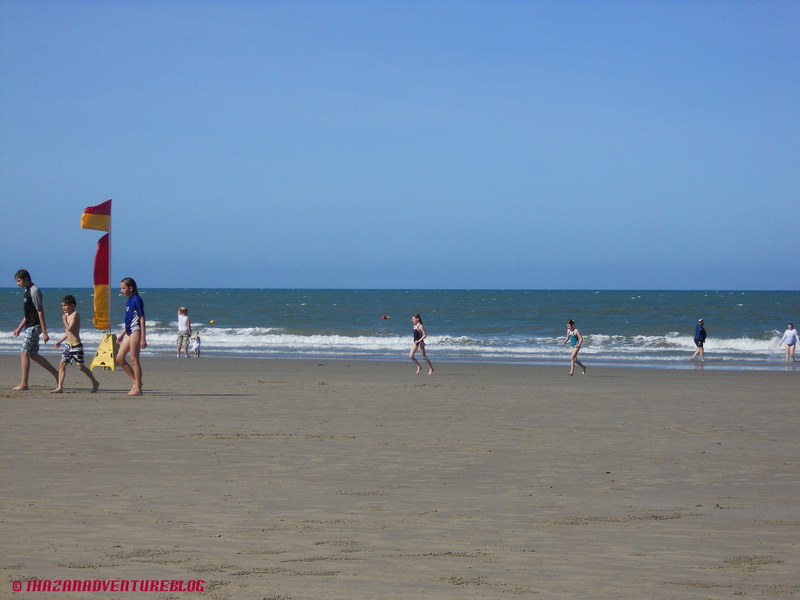 This beach is extremely popular but because of its expansive width and length it never feels overcrowded. 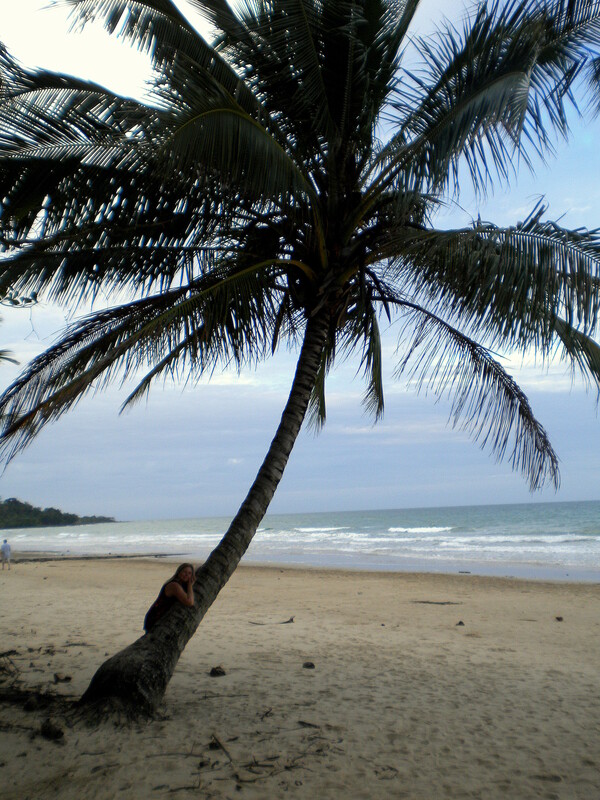 However, if you like your tropical beaches a little more secluded, there are many picture perfect spots to choose from. So if you’re coming to Far North Queensland, enjoy all that this paradise has to offer but remember, we share this beautiful area with its local wildlife. Be croc aware – ‘cause they’re there! Ballina Gallery Café – Local Art and Food with Heart. The Best Exotic Indian in Billinudgel!